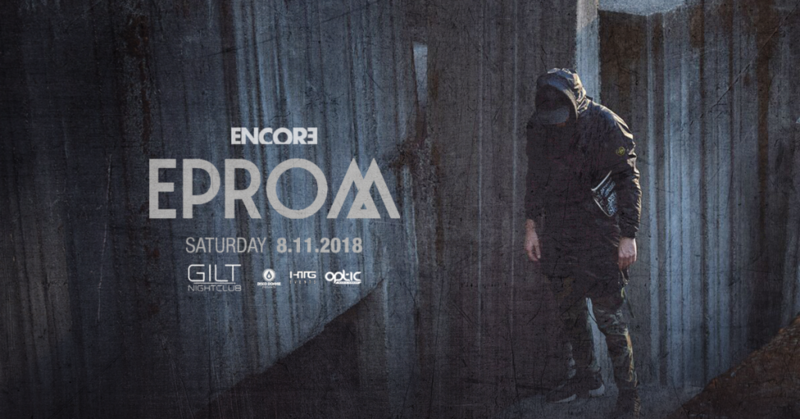 HTG Events, Gilt, & DDP will be hosting Eprom in Orlando on August 11th 2018 at Gilt! Follow the link for event and ticketing information. Fans and supporters of Eprom include Flying Lotus, ?uestlove, DJ Shadow, Rustie, The Glitch Mob and BBC Radio One’s Mary Anne Hobbs, and the producer has shared the stage with many of the international electronic music community’s hottest artists. With his new album, Metahuman, garnering critical acclaim from all corners, Eprom is finally getting the recognition he has earned as an integral part of the giant bouncing backbone of West Coast Sound. Sander Dennis makes loud music. Unrepentantly blaring, aggressive, brutal, sometimes even macho music. That’s not exactly a point of distinction in the exploding American electronic music scene. But EPROM’s music is, perhaps paradoxically, also some of the most subtle and inventive of his West Coast peers, meshing the rude with the avant garde. He carefully manipulates each element to a degree usually reserved for the fussiest of minimal techno producers. An EPROM track roars, belches, squeals and shrieks, sounds contorted into frequencies stretched to their limits. Unlike many of his US brethren, Dennis’ music isn’t exactly dubstep. In fact, it’s more hip-hop than anything else. (He often loads his strange sludgy brew with dirty south rap percussion—snares that slide off the greasy surfaces.) But he doesn’t quite fit in there either. His music is too willfully weird to fit a formula. Just take his idiosyncratic obsession with the aquatic, for example. Water bubbles prop up unstable melodies all over his debut album Metahuman. So maybe that’s why he’s become one of the biggest underground electronic producers in America: Like all of the best music, genres don’t encapsulate what he’s doing. It’s better just to focus on what it feels like, namely unleaded physical power and giddy destruction. EPROM is one of the vibrant West-Coast scene's most colourful characters and an important cog in the international Rwina machine. He's a consummate post-millennial producer, and his sound varies from toxic hip-hop to searing garage mutations to bizarre concoctions somewhere in between. His beats jiggle and drip and contort wildly, always in some perpetual state of melting, churning, and mutation. He's had releases on Warp, Surefire, and Bristol-based Bad Acid, but it's his Rwina releases that have been the most visible and enduring, whether it's the timestretch torture and fierce melodic geysers of "Humanoid" or deconstructionist mayhem of his "Pipe Dream" EP, where dubstep and grime collide for a staggering beast that shakes off heavy blotches of radioactive fluorescent sludge with every beat that lands. His live sets are something to behold as well, emphasizing the hip-hop roots that lurk underneath his sewer beats, and an hour of EPROM is bound to turn your brain into to the same sort of goo that gums the gears of his distinctive beats. 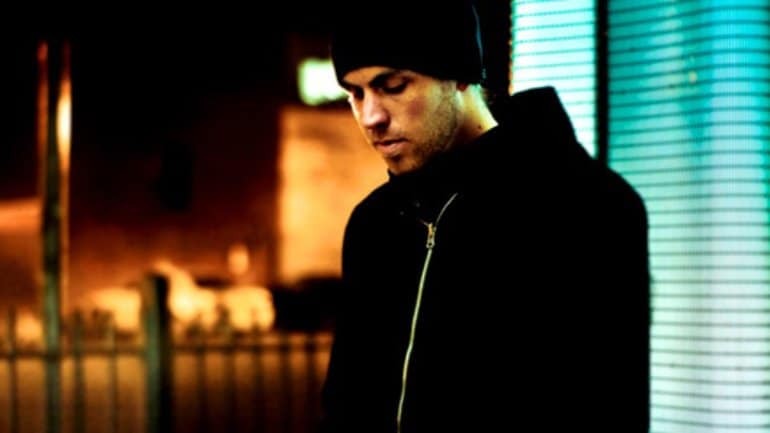 Fans and supporters of Eprom include Flying Lotus, ?uestlove, DJ Shadow, Rustie, The Gaslamp Killer, The Glitch Mob and BBC Radio One's Mary Anne Hobbs, and the producer has shared the stage with many of the international electronic music community's hottest artists. With his new album, Metahuman, garnering critical acclaim from all corners, Eprom is finally getting the recognition he has earned as an integral part of the giant bouncing backbone of West Coast Sound.